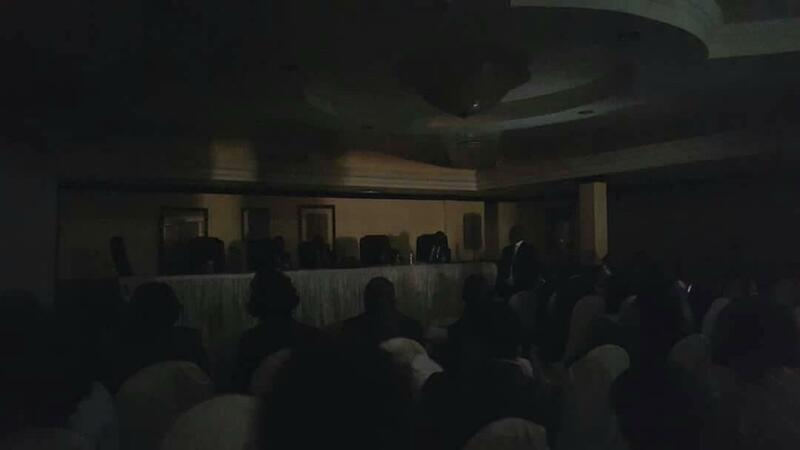 Business was suspended for closer to five minutes at Mount Soche Hotel in the commercial capital Blantyre where Ministry of Finance is conducting pre-budget consultation meeting this morning due to blackout, faceofmalawi can reveal. The development angered delegates at the meeting and some were heard insulting the current regime under President Professor Arthur Peter Mutharika. Others even went further questioning the effectiveness of newly installed generators at the state-owned company (Electricity Supply Corporation of Malawi). Peace returned in the room after the hotel management switched on a standby generator. In a related development, Minister of Finance and Economic Development Goodall Gondwe who is facing resignation calls over Mk4 billion bribe to MPs is not in attendance. Gondwe claims that his hands are clean on the matter.